Kitchen living room with dining room for 60 people, with the solar panel lighting, toilet, bedroom for 37 people, and terrace for about 200 people. 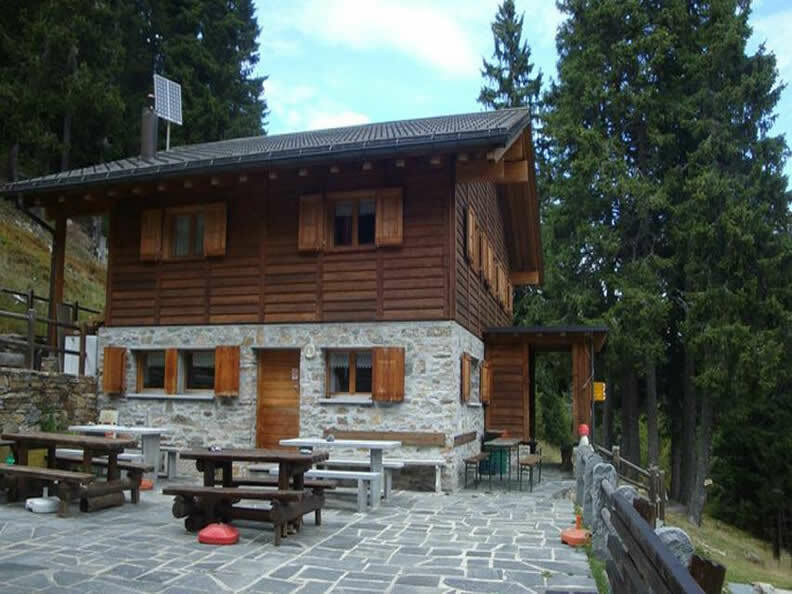 From June to October the presence of the caretakers allows guests to have half-board and/or taste local specialties, vegetarian meals and wine from Ticino. Beautiful hut located in the middle of a pine forest. 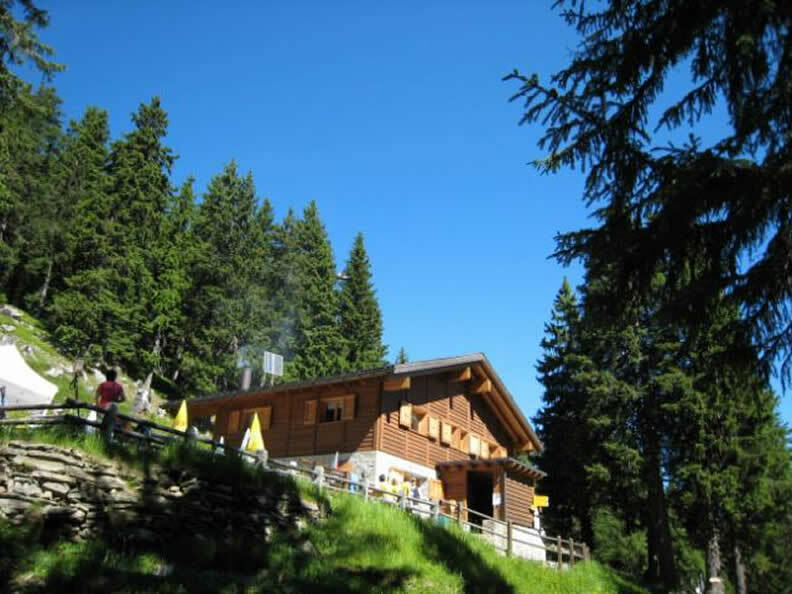 Above to gentle slopes and spacious forests of larch and fir trees, with large pastures. Starting point for a transversal excursion though Püscett, Piandios, Hotel Acquacalda, Dötra. 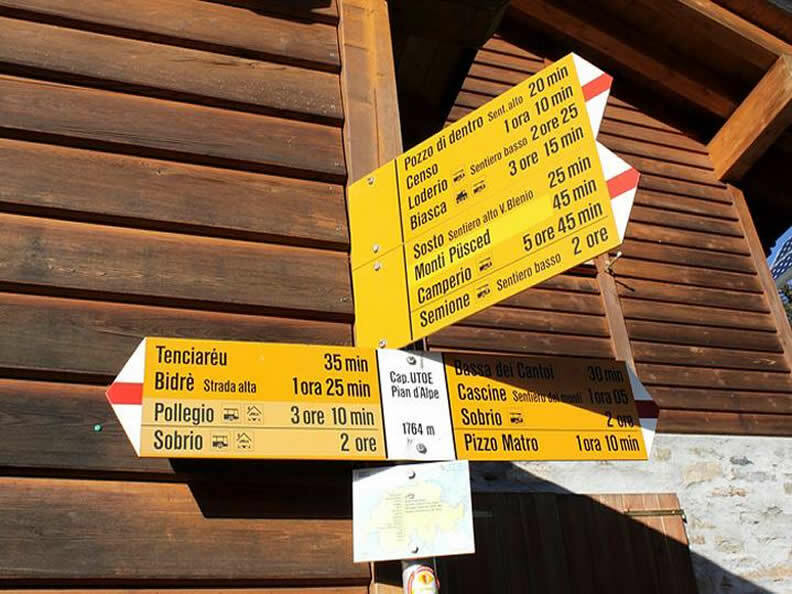 Suitable for summer hiking in a superb environment and winter hiking with snowshoes to discover the charm of the mountain in winter.